The department for culture, media and sport (DCMS) does not just deal with the Olympics or the latest row with the BBC. It is tasked with looking after policy surrounding some of the biggest technologies in the UK, such as superfast broadband and mobile spectrum. 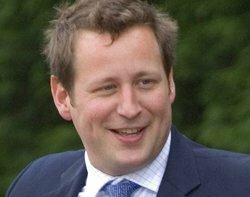 As the minister for culture, communications and creative industries in the DCMS, Ed Vaizey is the MP running the show. This week, he met with Computer Weekly to talk through the progress, issues and controversies facing an increasingly digital Britain. The coalition has a very different goal – best broadband in Europe by 2015 – than the previous government – 2Mbps for all by 2012. Why didn’t you stick with their target? We wanted to future proof broadband roll-out and I think we have been proved right. 2Mbps is an adequate speed but we now know most people expect 8-10Mbps to be able to do [what] they want to do. Now I am in government, I know the kind of hurdles one has to overcome. They can say [they] would have delivered it by 2012, but there is no way of knowing whether that would have been the case. I am certainly confident making the decision to go for superfast was right, because that is what people want. There is always a range of different surveys that show where we are. [You must ask] how do you define superfast broadband. Speed is one thing [and] we know Ofcom shows that average speeds [in the UK] have now risen to 12Mbps. Cost is another [as] there is no point having superfast broadband going past your front door if you can’t afford to access it. We have among the lowest cost in Europe, mainly driven by competition [between] our two large providers, BT and Virgin Media. But the real test is where are we in terms of the British consumer [compared with] the rest of the world and study after study unequivocally shows that we are one of the most networked nations in the world, in terms of the proportion of GDP dependent on the internet, the proportion of e-commerce and the number of people that are actually using the broadband, we stack up very well. You have to look behind the survey and see what metrics they are using. In the same report, it showed that of the 65% that could access superfast broadband, just two in 100 homes were bothering. Would people not have preferred 2Mbps by 2012 rather than wait another three years for superfast broadband they won’t use? I think take up is increasing very rapidly and again I am sure the next Ofcom survey will show that. There are game changers. I already mentioned the iPlayer and more and more people are using tablets, relying on fast speed on Wi-Fi, downloading content from companies like Netflix or using SkyGo. I think what has changed, and it really has changed in the past two years, is the amount of content people now want to access. I do think that is going to drive people. Obviously there will be business applications too and the most vocal voice in the broadband debate wanting us to go faster is the business community. I have total sympathy for those people and if I could wave a magic wand and make us go faster I would. Of course, the other game changer that government has had a big role in, and may change the picture again, is 4G. But we only have one operator offering that now – EE. What did you say to the other operators when the decision was made to allow EE to repurpose its spectrum for 4G and what are you saying now it seems few customers are signing up? The first thing I said to them was 'please don’t sue us!' This is a highly litigious environment. I have a huge regard for all of the chief executives of our mobile phone companies, who I have got to know very well. [But] Olaf Swantee [CEO of EE] deserves a lot of credit for focusing his company. He came to us and said, “I want to liberalise [spectrum] and deliver 4G,” and we thought that was manna from heaven. The other operators said 'hang on a second' and they talked tough, but actually they did us a lot of good by putting on the table the idea we could clear the spectrum more rapidly. We took that onboard, we looked at it and we could. I think it is a chicken-and-egg [scenario]. To have EE out there offering a 4G service means that the other operators are going to be much more focused on giving a rapid roll-out [as] they don’t want to give EE a clear playing field. But also, in a virtuous circle, once Vodafone, O2 and Three start their 4G services, then we are going to have a much more high-profile consumer campaign telling people that 4G is available and what it can do. In this entire debate, there is always an element of contradiction. On the one hand, I have people saying get this stuff out there, roll-out superfast as quick as you can, roll-out 4G, why is the auction delayed, why are we in the slow lane. Then I have other people saying hold on, no one is taking it up. My focus is just to get the infrastructure out there and we should do more to encourage people to take up broadband. If broadband is so important, why so little funding? If you compare the £33bn put towards the HS2 railway line with the £530m initially stumped up by government for the roll-out of broadband, it seems like a tiny amount. The £530m has leveraged another £700m from local authorities and from BT itself so the overall figure comes to £1.2bn now. But I come from the school that says if we had put £5bn on the table, we probably would have spent £5bn and achieved the same result. There is something quite good in giving people a relatively targeted sum of money and seeing what they can do with it. Certainly the feeling is that we can achieve our goal with that sum. I look across the world sometimes and there are a number of countries that have done the big bang, huge-bucks broadband projects, and I don’t think they would produce anything that puts us in the shade. On the HS2 point, I never think of this as an either/or. I think we desperately need new railway infrastructure. I think 4G and broadband are vital, but I don’t think we are going to be in five or 10 years in a world where you and I conduct this interview over a video conference or, instead of me going to Manchester to visit a number of organisations, doing it over a video conference. But the difference is you can get to Manchester already, some people in the country can’t online now. Surely that should be the priority? But I think we are [making it a priority]. We have set this goal of 2015, I think we will achieve it and [in the private sector] BT is 18 months ahead in terms of its own commercial roll-out. I think we are moving as fast as we can and it is quite hard to wave a magic wand. You couldn’t recruit 2,000 engineers tomorrow and transform it. I am very content with where we are and things are going well. We are not complacent [though] and we work very closely with operators to make sure we push the programme.